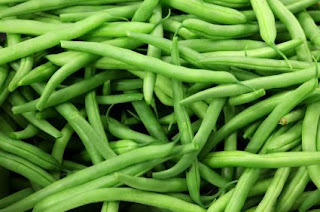 Green beans are a great source of iron, an important mineral for women, who are more at risk for iron deficiency. Boosting iron levels with green beans is a smart move because the vegetables are low in calories and fat-free compared with meat. What's more? The beans are packed with vitamins A and C, an antioxidant duo that helps prevent the oxidation of cholesterol to keep arteries clear and reduce heart attack and stroke risk.